The four dynamic and soulful Chicanos in this show display a wide range of backgrounds, from the Los Angeles area to various parts of Mexico. The artists' individual paths through college as well as religious anecdotes are represented as documentary images in the catalogue. 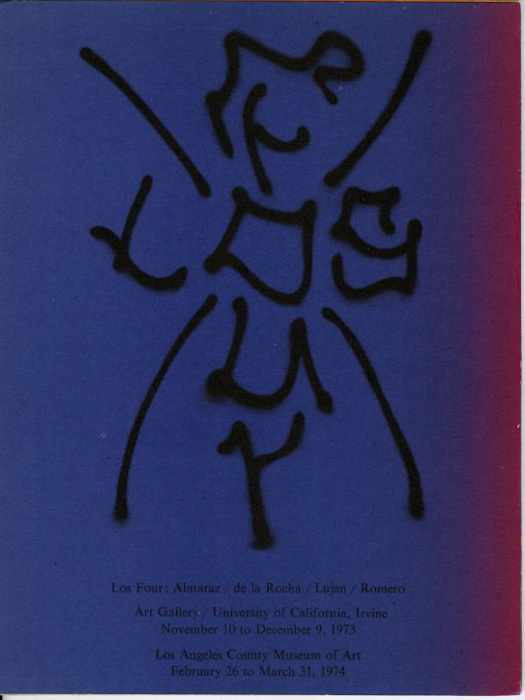 The descriptions of their own humble beginnings of Carlos David Almaraz, Roberto de la Rocha, Gilbert Sanchez Lujan, and Frank Edward Romero are expressed at the end of the catalogue. Thes skilled and radical men depict a unique period in the history of Chicano art.